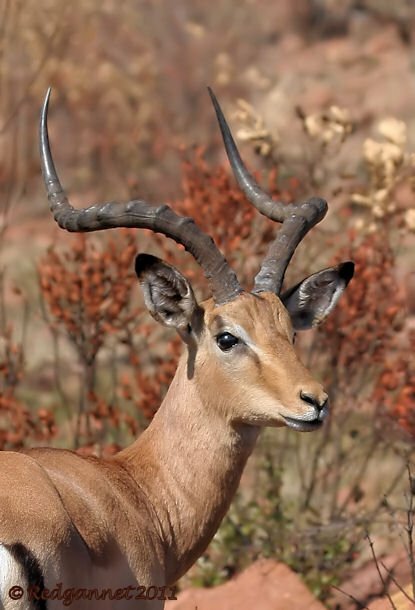 The Impala is an slim, elegant antelope which is seen over most of sub-Saharan Africa, wherever there are a few Acacia bushes or some grass. Young males are turned out of the maternal herds once they reach an age at which they begin to compete with the dominant male. They form bachelor herds where they test their strength against their peers, finding their natural place in the hierarchy. 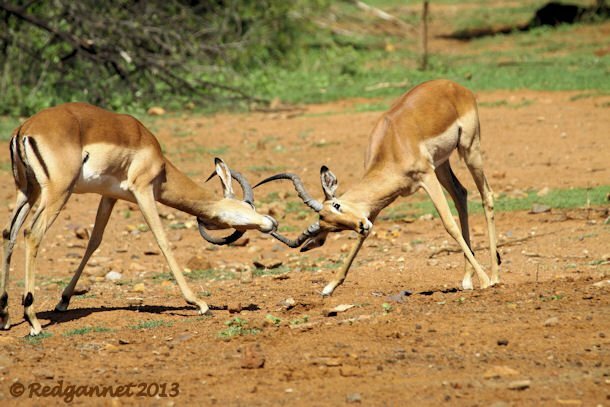 A pair of young bloods were pushing each other back and forth near the visitor centre at Pilanesberg recently. despite it being a pulled punch fight, the lunges and strikes could still do a lot of damage if not parried. The fight is necessarily ritualised. The purpose is to test each other, not to receive or cause injury. 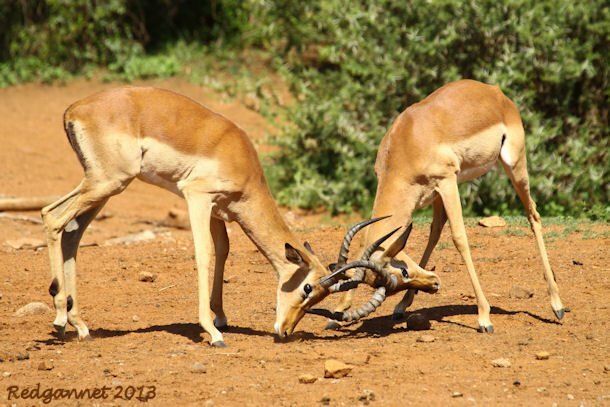 Each buck stands side on to his antagonist, showing off his size and his horns whilst assessing the size and fitness of his opponent. They partly lock horns before engaging properly and pushing. As the rules dictate, they break off regularly to ensure that predators do not get the chance to creep up on them while they are otherwise occupied. 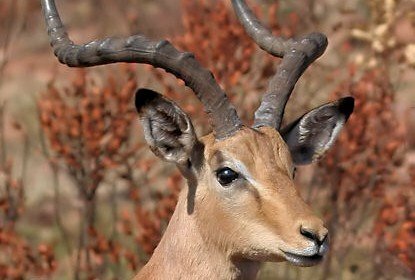 The horns of these young males will grow and continue to spiral until they attain the impressive headgear of a dominant male. Wow. And I thought the Impala was a Chevrolet. 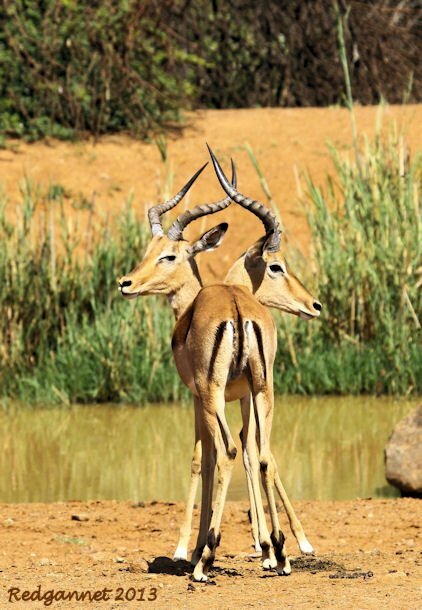 These Impalas are much more impressive.